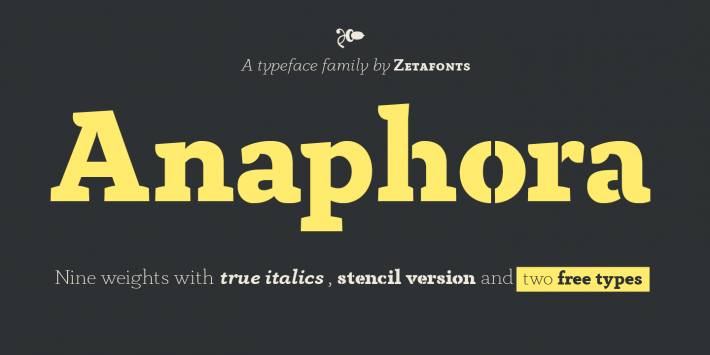 Anaphora is a contemporary serif typeface designed by Francesco Canovaro with Cosimo Lorenzo Pancini and Andrea Tartarelli. 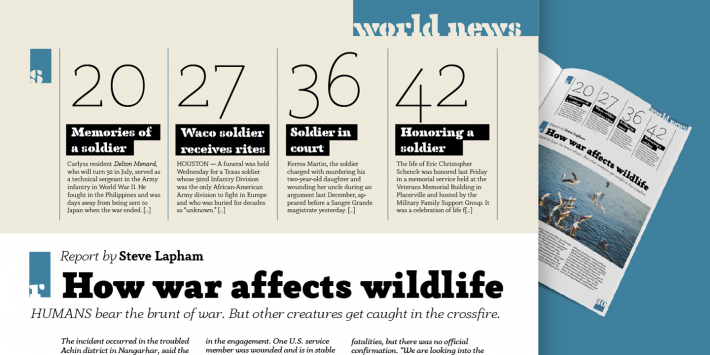 It features a wedge serif design with nine weights from thin to fat, each with true italics style, for a full range of editorial and advertising uses. 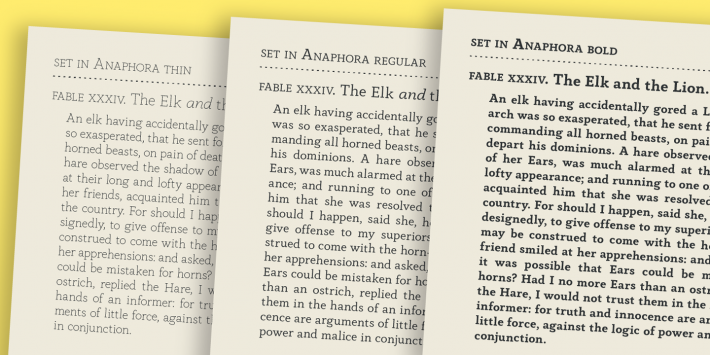 Its wide counters and low x-height make it pleasant and readable at text sizes while the uncommon shapes make it strong and recognizable when used in display sizes. 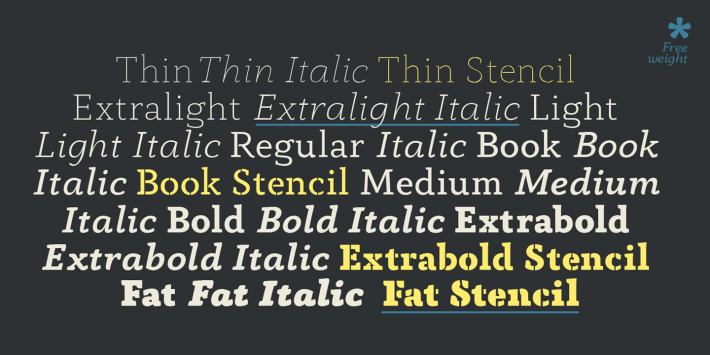 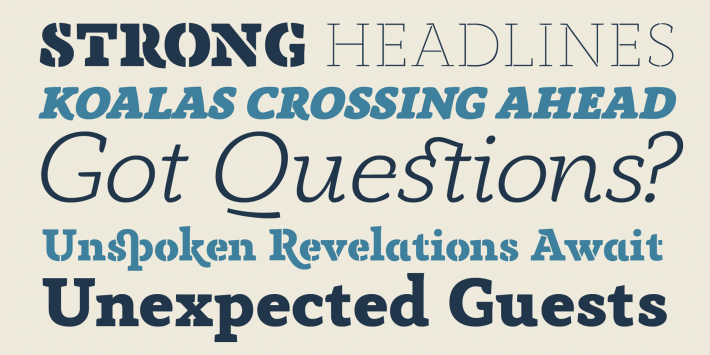 Four additional stencil weights provide options for fancy titling and logo creation. 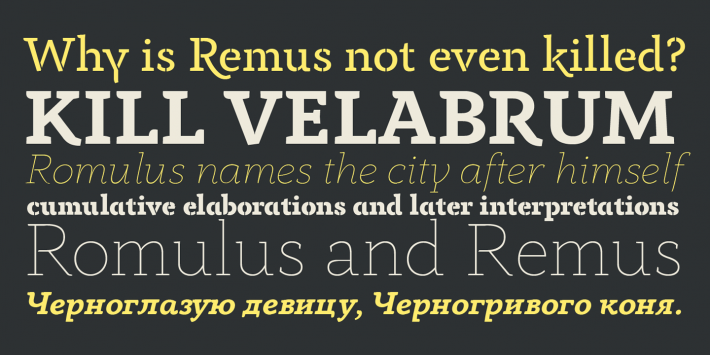 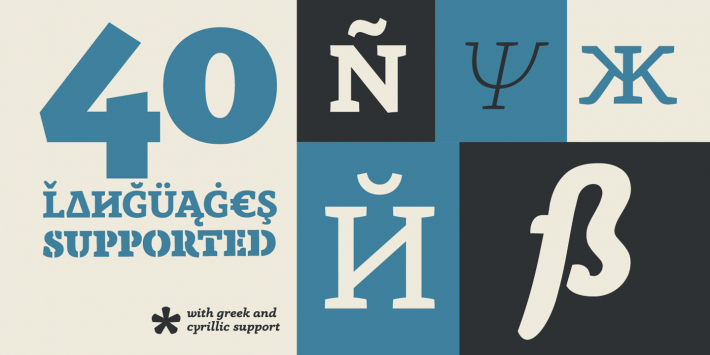 Anaphora features an extended character set that covers over forty languages using the latin alphabet, as well as Greek and Russian Cyrillic. 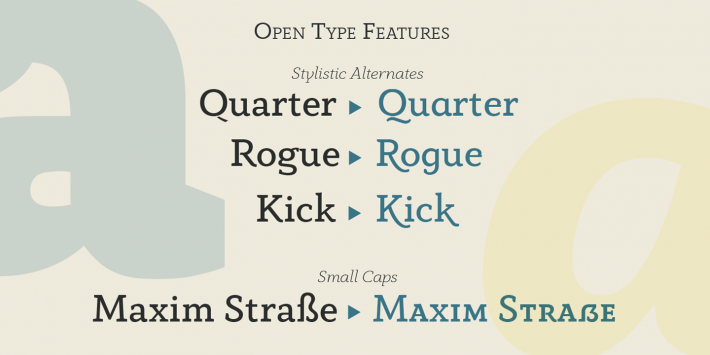 Open type features include small caps, four sets of figures, fractions, superior & inferior figures, alternate forms and discretionary ligatures.